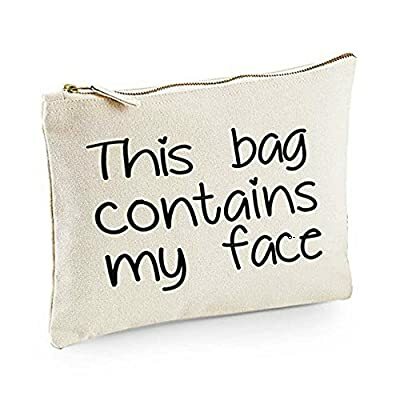 A good canvas fun make-up bag, made from 407 gsm cotton canvas with a tough metal zip and printed with resilient print. 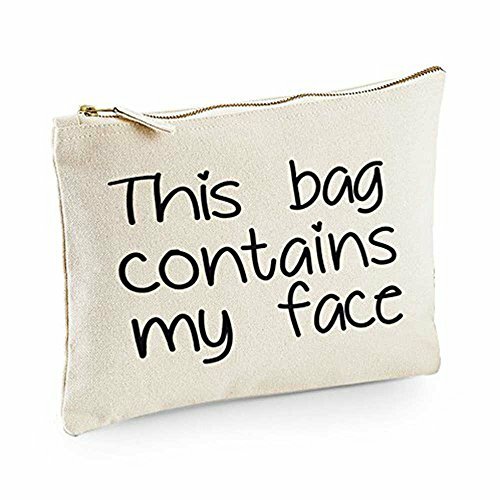 The small bag would be perfect for small make-up retouch items, the medium bag is a good size for all the necessities with the large bag big enough to utilize as a clutch bag for all your make-up, keys and phone etc . 100% Cotton Canvas in 4 Colours Black, Natural, Baby Blue and Hot Pink Nice easy glide metal zip Available in 3 sizes - Small approx 11.5 x 20cm, Medium approx 16 x 22 cm and Large approx 20 x 28cm The Large sized bag is great as a clutch bag to hold make-up keys and phone.